Mindy Simmons takes you on a trip down memory lane as she recreates the look and sound of an evening spent with the late, great Miss Peggy Lee. Sharing the songs and stories of Miss Lee's career, Mindy emulates a performance style of earlier years in entertainment when the music was subtle in dynamics and the lyrics could be heard and understood. 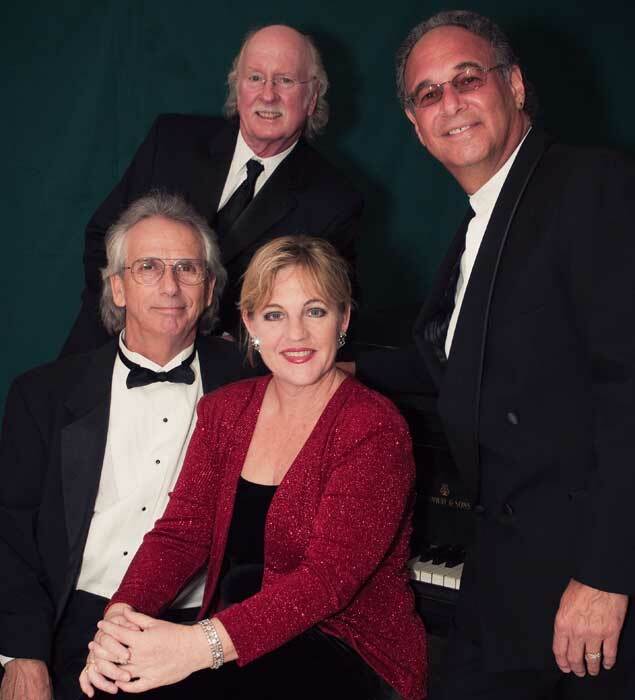 With a Jazz combo behind her, Mindy Simmons brings the hit songs of Peggy Lee's 45 year career to life. She shares with the audience the classy, very sultry and sometimes surprisingly funny side of Miss Lee's personality. This is a show not to be missed! "Mindy Simmons displayed an artistry that has evolved over the last two decades. Her timing and intonation, the subtle moves and lovely arrangements brought the audience back in time to when music was heard only on the radio and in 'live' settings. Mindy flowed through the evening mixing humor and emotion with style and grace. She made it look easy, the mark of the professional. The audience was thrilled and gave Mindy a standing O." - David; Miami, Florida. Mindy has been told by total strangers for much of her life that she looked very much like Peggy Lee. In order for her interpretation of Peggy to be believable, MIndy studied her cadence and style extensively. You can purchase Mindy's collection of Peggy Lee Classic Covers in Mindy's CD, Is That All There Is. Mindy Is joined by Ed Kinder, Mike Snyder and Peter Bonagiano in "IS THAT ALL THERE IS?" a tribute program to the late great Miss Peggy Lee. Host the tribute to Miss Peggy Lee...IS THAT ALL THERE IS? Contact the folks at MindyMusic by emailing Mindy Simmons or calling: 941-685-1010.